milliliters and having a cephalic index between 75 and 80. The terms milliliter and cephalic index are explained below. 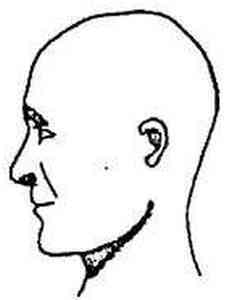 words together and you have "pertaining to (a) medium head." head that is too short and broad).